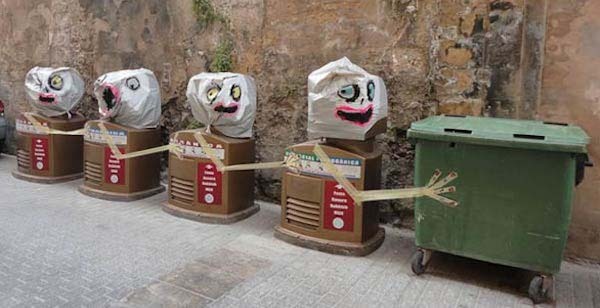 Spanish artist Francisco de Pajaro makes art from trash. 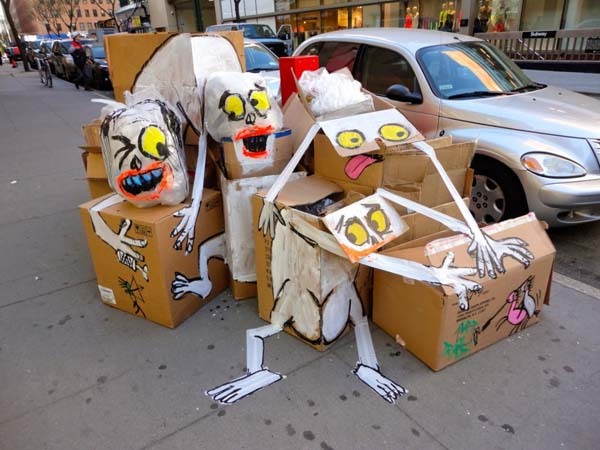 The street artist roams the streets at night looking for discarded rubbish to transform into amazing bizarre art creations by adding arms heads legs and feet to cardboard boxes and bins. 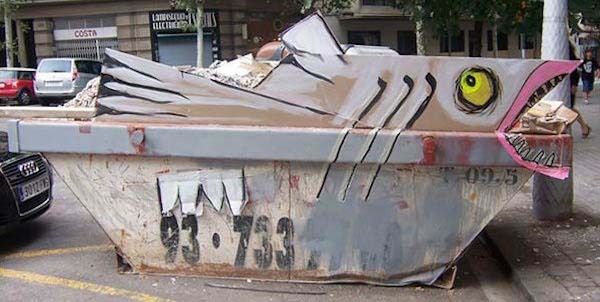 Franciso, now lives in London, and has to work quickly to make his freaky trash creations. 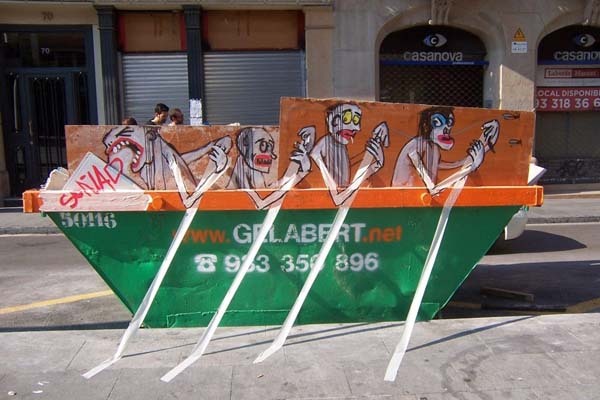 Using tape, paper and paint he transforms the discarded into something wonderful.